Only the most outstanding and experienced attorneys receive the Elite Lawyer Award. Based out of Dallas, lawyer Bobby Devadoss represents clients nationwide in federal employment cases involving labor disputes, discrimination, sexual harassment, and whistleblower retaliation. Attorney Bobby Devadoss, of the Devadoss Law Firm, P.L.L.C., has been honored with a 2019 Elite Lawyer Award for the area of federal employment law. The Elite Lawyer rating service recognizes attorneys who display a high level of competence in their practice and receive acknowledgment from their peers, community, bar, and committees. Devadoss is a founding member of Elite Lawyer, having first received the honor in 2017. 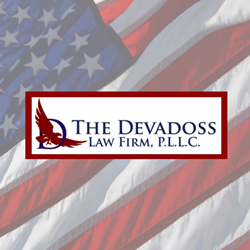 Before opening Devadoss Law Firm, P.L.L.C., Devadoss worked as a federal labor attorney for the Federal Labor Relations Authority and the Federal Aviation Administration. About Devadoss Law Firm, P.L.L.C. Devadoss Law Firm, P.L.L.C., is a nationally recognized federal employment law firm that has handled more than 1,000 cases involving employees from almost every federal agency. Our attorneys help employees receive the compensation they need when they have grievances or are facing disciplinary action. Devadoss Law Firm, P.L.L.C., has offices in Dallas, Atlanta, and Washington, D.C. To schedule a free consultation, call 888-351-0424 or visit https://www.fedemploymentlaw.com.